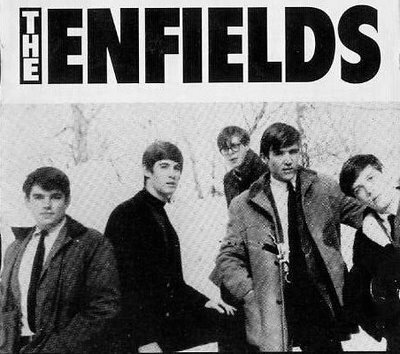 The Enfields were one of the countless garage bands competing for airplay in the 1960s. They released a series of quality local 45s before morphing into the more progressive Friends of the Family, of which by that time, principal songwriter Ted Munda was the only surviving member. The Enfields hailed from Wilmington, Delaware, where they were unquestionably the area’s top group.